This article explains about Azure Service Bus - Relay which has two entities Hybrid Connection and WCF Relay. 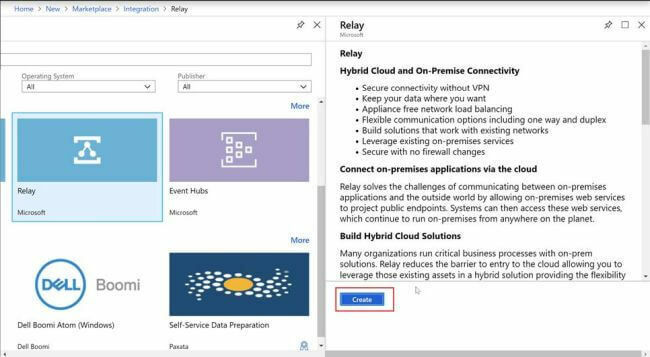 This article explains about Azure Service Bus - Relay which has two entities - Hybrid Connection and WCF Relay. We will also see WCF Relay in detail. A relay is used to communicate between on-premises applications and the outside world application. We can expose on-premises service endpoints to the public so that the outside world can access on-premise services from anywhere. We can have more than one listener for a single on-premise service endpoint. The biggest advantage of using this is that we have no need to open any port or any kind of firewall configuration. It uses Azure's network security without exposing our on-premise application. Before we start implementing WCF Relay, let's revise WCF once. Address is a unique Uniform Resource Locator (URI) that identifies the location of the service. It defines the network address for sending and receiving the messages. Binding specifies which transport protocol to use, what message format and which any of the ws* protocols we want to use to a particular endpoint. Contract provides the additional details of the structuring contents of the various messages that will be used by the various operations exposed to the particular endpoints. Click on '+Create a resource', expand Integration and click on 'Relay'. Click on 'Create' button to create the relay namespace. Give a proper name to the namespace and click on 'Create'. Here, we can see two entities, i.e., Hybrid Connections and WCF Relays. But we are going to create WCF Relay. Click on '+WCF Relay' to create a new relay. Give a proper name to the relay. Select 'NetTcp' as Relay Type and click on 'Create'. 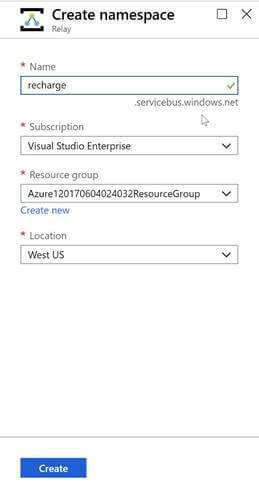 Create a WCF Service Library application. Create an operation contract which expects a string parameter. Implement the contract and return the string. Create a console application to host the previously created service. Add a NuGet Pakage Microsoft.ServiceBus. Expose NetTcpRelayBinding and host the service using ServiceHost. 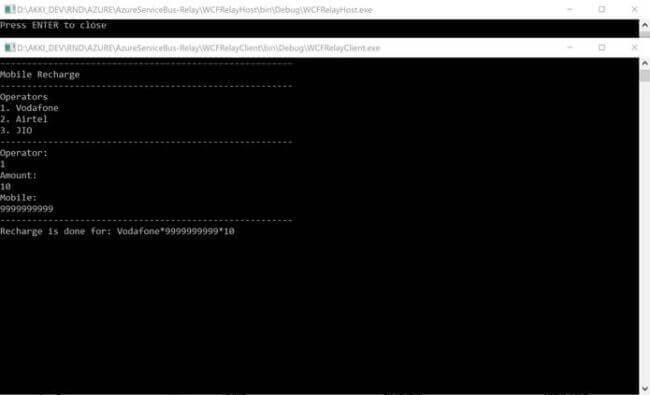 Create a console application for WCF Client. Get the ServiceName, ServicePath, Policy, and Accesskey from the portal. Implement the client code as below. Run the WCF Client application. Provide required inputs and you can see the response returned from the WCF service. 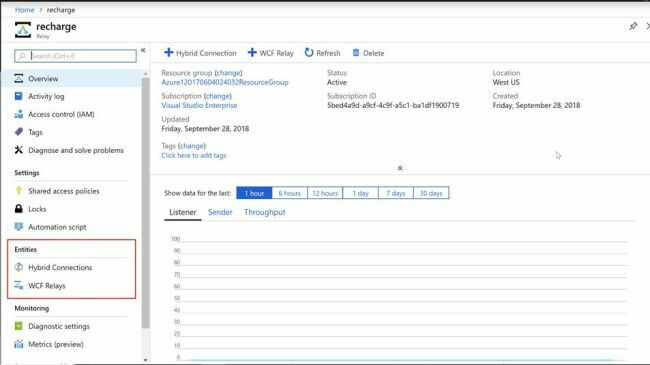 We can find our WCF Client as listener under WCF Relays. For demo purposes, we have created all the applications under a single solution, but in the real world, we can put WCF Service and Client on two different servers and verify how an external application (WCFClient) uses on-premise service, i.e., WCF Service through Relay. Download the complete sample code from here.